Where? Why? What? 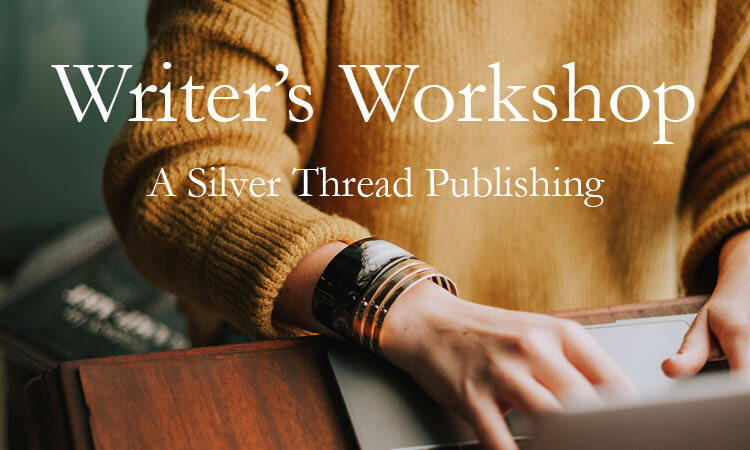 A Silver Thread Publishing Writer's Workshop. Home For Authors Where? Why? What? Where? Why? What? We will answer these four questions in this exercise. You’ll need: Paper and writing instrument, like a pen or pencil, no computers allowed for this one. Set aside 15 minutes and plant your little behind down at your favorite writing place. On the blank piece of paper sitting in front of you, answer this question: Why do you want to write? Take your time but keep it simple, just a sentence or two. Do you have a novel floating around in your head? Is there a collection of kids books you are envisioning? What is that burning desire that is screaming to get out? Once you are finished, set your writing instrument down. Take a deep breath and release all the built up anxiety from having to write your answer. Pick up that same writing instrument in your other hand. It’s going to feel strange, odd, and a little uncomfortable. Do it anyway. Now answer this question: What is holding you back? In other words, What are you afraid of? You may have to concentrate on writing your answer. Notice how your whole body is affected by your new writing method. Once you’ve written your answer, set the pen or pencil down and look at your paper. Do your fears seem as big or scary as they did moments ago? Most likely not. In fact, they may even seem a bit childish. It also can’t hold you back. Make friends with fear. Stop calling it fear and give it a name, like Milton, Gertrude, or Waymon. Give it a silly body and a crazy face, perhaps with eyes that can only look backwards. This will prevent your fearless character from dabbling in your future. If he can’t see it, he can’t play in it. Create other bizarre characteristics that make you laugh when you think of them. Fear is an emotion we need, if it didn’t exist we’d put our hands in the pretty flames of a roaring fire, or step off a cliff in hopes of flying. Unfortunately, we’ve allowed fear way too much power and it’s time to get it under control. The final part of this exercise is to describe what ‘your’ fear character looks like. Once your done writing about him or her, you will no longer have the excuse that you don’t know how to start writing. You will have already finished your first master piece.